Following Obama’s election in 2008, gun sales surged amid fears of new gun control laws. While gun owners are celebrating a pro-gun Republican in the White House, it hasn’t been good for gun sales in 2018. A new wave of gun violence and a media paying close attention to mass shootings has reignited national calls for increased gun control in America. Yet, no national gun control laws have materialized and prospective gun owners have not been driven to buy guns due to a fear of bans on popular military style firearms. 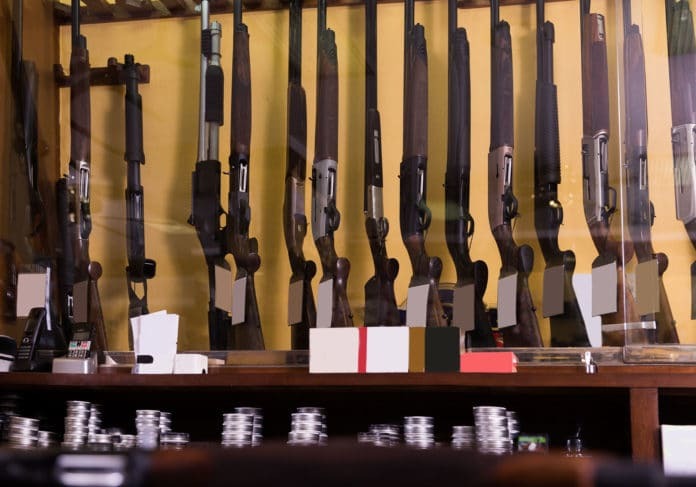 As American demographics change, hunting and sport shooting become less popular, and lawsuits against gun makers become more prevalent from counties and cities attempting to recover legal fees and damages. The firearms industry is facing an uphill battle in the rest of 2018 and beyond. Sales are down nationwide, and the number of gun shops and dealers is down by as much as two-thirds in some areas. While there are a number of determining factors, one major reason may be a decrease in crime. Doug Painter of the National Shooting Sports Foundation said, “The non-traditional buyer who was buying for self-defense or, for home protection, isn’t there as much because violent crime has been going down so much.” Gun crime has significantly gone down in most areas of America since its peak in 1993, and as a result less people feel incentivized to buy as many first time gun buyers cite protection as their number one reason to buy. Another factor experts have cited is a shift in the American political landscape. As much of Congress is now controlled by Republican lawmakers, gun buyers do not fear the introduction of legislation that might negatively affect their Second Amendment rights. Following the Sandy Hook shooting, Remington’s sales increased 36 percent due to fear of stricter regulations on models similar to the Remington ARC, or the Bushmaster XM15-E2S used by the perpetrator. Currently, the firearm industry is protected from civil claims from victims of gun violence under the Protection of Lawful Commerce in Arms Act (PLCAA) of 2005, with some exceptions such as malfunction. Local governments are suing the gun industry increasingly often in an attempt recoup legal damages they say were caused by gun violence. Smith & Wesson is one manufacturer who faced such a suit and settled, but faced strong backlash from customers for paying a settlement in the case. The financial damage from cases like this is clear: in 2004, Smith & Wesson was acquired for $112 million; in 2018 it was purchased for only $45 million. Remington, America’s oldest gun company, recently filed for bankruptcy, and Colt’s Manufacturing went through bankruptcy in 2017. The gun industry is now working hard to diversify its products with outdoor gear, gun accessories, guns geared towards women, and even company name changes to attract a new generation of not only gun owners, but sportsmen as well. Gun manufacturers have often avoided the economic plights faced by other industries due to consumer fear driving demand. However, with a pro-gun Republican in the White House, the gun industry will need to find new ways to attract new customers and drive sales to remain profitable.